We’re excited! For the past several months, Superyacht Storytellers has been hard at work designing our first book. 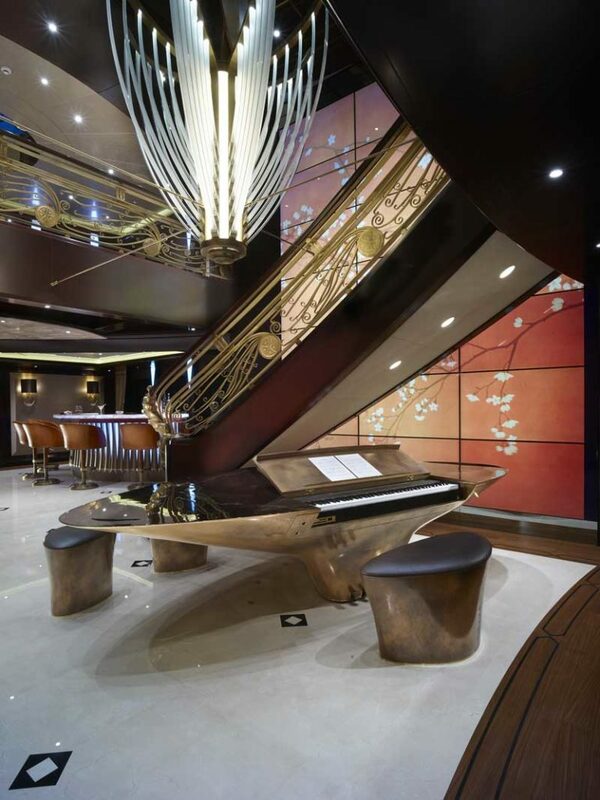 Spectacular Superyachts: Inspired Interiors is the result, and if we do say so ourselves, the results are spectacular. The book is the culmination of 25 years of observation. From the moment I entered the yachting industry in 1993 to the current day, one thing has remained the same. Every yacht I’ve seen, of every size and style, has had a story to tell. So, we pulled together nearly two dozen yachts that are among the best storytellers around for Spectacular Superyachts: Inspired Interiors. Through more than 100 photos, we share the fantastic tales behind their design: what the owners wanted, and how the world’s top designers made it all happen. Some of the stories are simply astounding. Take Kismet (left), for example. One of the most exclusive yachts in the world, and among the world’s 100 largest superyachts, she belongs to an extraordinary owner who wanted to provide extraordinary experiences for friends, business associates, and charter guests. This two-deck-high atrium really puts it all into perspective. The piano bar (a piano and a bar combined) fills the atrium with music, luring those on the second level to come to those Art Deco-inspired railings to get a better listen, and look. how a mere $34,000 in the 1950s led to the creation of Christina O (325 feet/99.13 meters), perhaps the most famous yachts in the world, featuring a fireplace framed in semi-precious lapis lazuli. You can become one of a select few to own a copy of Spectacular Superyachts: Inspired Interiors. It has a limited-edition print run of 100. Check out the dedicated page on our website to order yours.